"Holiday Hoopla: A Celebration of the Season Featuring the Work of Amy Rice and Michael Sweere"
The month of December, 2005, Rosalux Gallery in Minneapolis will host the works of Michael Sweere and Amy Rice. The Show entitled, Holiday Hoopla, will feature new work by these two well established Minneapolis artists created specifically for a show in a month of celebration and gift giving. In addition to offering two-dimensional artworks ranging from paintings to collage, these artists have been inspired by the holiday season and used their creative efforts to produce original fine art ornaments, holiday decorations and one-of�a-kind gifts. Environmentally friendly artist Michael Sweere creates art that embodies the motto �reduce, recycle and reuse�. By day, Michael works as an art director in an advertising agency, but by night he turns to his passion for the fine arts. Taking the catch phrase �thinking outside of the box� literally, he uses the packaging material from various consumer goods, such as cereal boxes, as elements in his mosaics. In May of 2004 Michael Sweere was the recipient of the Artist Community Fellowship Award given by the Earthwatch Institute. Funded by the Ford Motor Company, the Institute sponsors ecological expeditions around the world in order to find solutions for a sustainable future. As part of this award Sweere accompanied an archeological team on a dig in the Skagit River Basin in Washington State. His assignment was to create a visual journal of the expedition to be used for future reference and research. In July of this year Michael was awarded Best of Show at the Bloomington Art Center. The show was juried by Thomas Barry of Thomas Barry Fine Arts. Amy Rice is a regular at Outsiders and Others as well as other Twin Cities� galleries. She is known for her bold stencil creations, inspired as much by Pop Art and Japanese Printmaking as the Graffiti Art movement. Minneapolis Mayor R.T Rybak has cited Amy�s mural work as an example of how art has participated in the rebirth of Franklin Avenue. Amy is also known locally for her advocacy role on the behalf of artists with mental illness and recently received a national award for her efforts. In the past year Amy has exhibited her work in San Francisco, Madison, Portland, Chicago, New Jersey and Connecticut as well as her first international solo show in Exeter, England. Amy has a spring show scheduled in Bath, England in conjunction with the introduction of a greeting card product line based on her designs. The opening reception for Holiday Hoopla will be held on Saturday, December 10th from 7-11 pm. There will be live music and plenty of holiday treats. Rosalux Gallery is located in the Open Book Building in Minneapolis� Riverfront area, at 1011 Washington Avenue South, right between Downtown Minneapolis and the West Bank of the University of Minnesota. This event will be free and open to the public. Additionally, Rosalux Gallery will host special holiday events that celebrate the creative traditions of Rosalux Artists including cookie decorating and ornament making on weekends in December. The Rosalux retail store, located in the lower level of the gallery will expand during the month of December as all Rosalux Artist members have been invited to create tree ornaments and other one-of-a-kind gift items. Rosalux is an artist collective which began with 12 members in 2002. 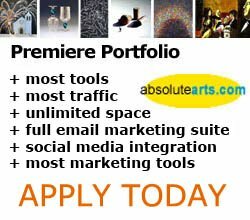 It is currently a vibrant and growing community of Twin Cities� artists, working together to help build not only each other�s careers, but also the Twin Cities� arts community.